It's been year since I applied for a COL Financial (formerly known as Citisec Online) account! I decided to open an account to invest some of my money in buying stocks; to own a shares issued by different company and corporations. COL Starter (minimum investment of P5,000): An entry-level account suitable for long term investing. Provides access to basic research reports, standard market information, and end-of-day charting data. 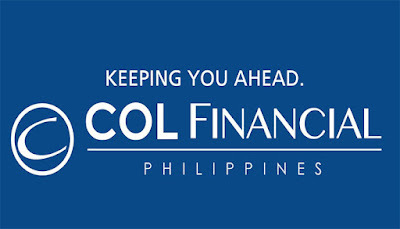 COL Plus (minimum investment of P25,000): For active traders. Provides streaming quotes, comprehensive research reports and live chart data with some customizable features. COL Premium (minimum investment of P1 Million): For the premier investor. Provides access to all available features and a personal relationship manager dedicated to assist you. In my case, as a beginner in Stock Market, I applied for a COL Starter account. Don't worry about on how to upgrade your account in the future. Your account will be automatically upgraded by COL Financial once your account reached the minimum investment allowed per account type. Each account type has also comparison when it comes to features. Download and Print out the Application Form on this link - COL Financial Individual Forms. Completely fill out the forms Customer Account Information Form (CAIF) and Foreign Account Tax Compliance Act (FATCA). Note that Tax Identification Number (TIN) is required! For TIN Application, please refer to this link - TIN Application Procedure. The Online Securities Trading Agreement (OSTA) should be read and kept by you as account holder. It contains the terms and conditions between you and COL Financial as your online broker. I applied for a TIN in Bureau of Internal Revenue District Office near me. Requirements to apply for TIN is PSA Birth Certificate (formerly known as NSO). There's no payment anyway unless you need for a TIN ID. Step 3: Prepare other important requirements - You need atleast One (1) Photocopy of valid government issued ID. It can be Philippine Passport, Voter's ID, PRC ID, Postal ID, TIN Card, PhilHealth Card, Birth Certificate, etc. Since I have my Postal ID, I used that one. Take note, photo and signature must be clear! Step 4: Submit forms and additional requirements - You have two options in submitting your forms! You may also send the originally signed forms to COL Financial's Business Center. Once they receive your documents, a sales officer will review your application and schedule you for a video conference call for information verification. Since I have no time to travel from Nueva Ecija to Manila, I chose to send my forms and other needed requirements using LBC Express using the COL Financial address below. Step 5: Start to fund your account - After waiting of 3-5 working days since I submitted my documents to them, they contacted me and scheduled for a skype video call. Yes, through Skype! After 3 working days, I recieved an email from them that my account is now ready for transactions! I used to fund my COL Financial account using BDO Internet Banking service. It changed into very beneficial for me. Keep sharing such ideas inside the destiny as well. This was absolutely what I was searching out, and I am glad to came right here! Thanks for sharing the such statistics with us.